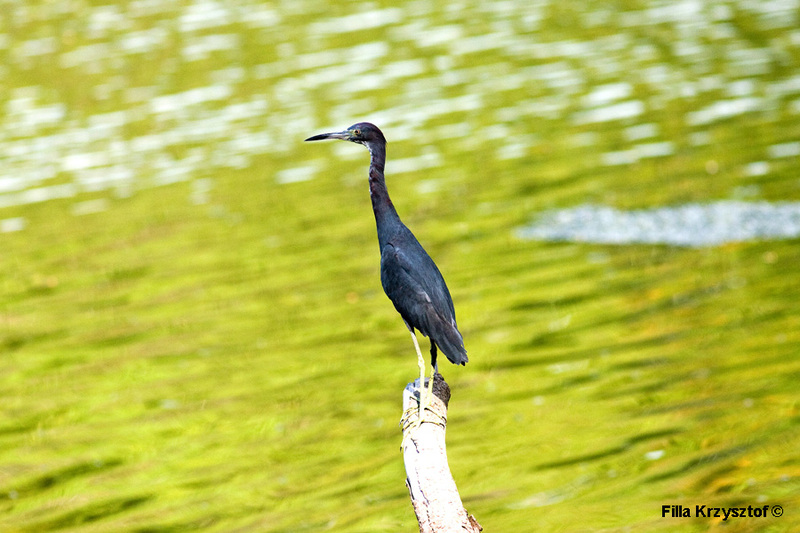 The little blue heron (Egretta caerulea) is a residential bird of central America. In the early age of the bird the juvenile has white plumage. In this stage they easily mingle with the snowy egret that is white as well. But once the little blue heron matures and changes its colour the snowy egrets kick him out of the group.